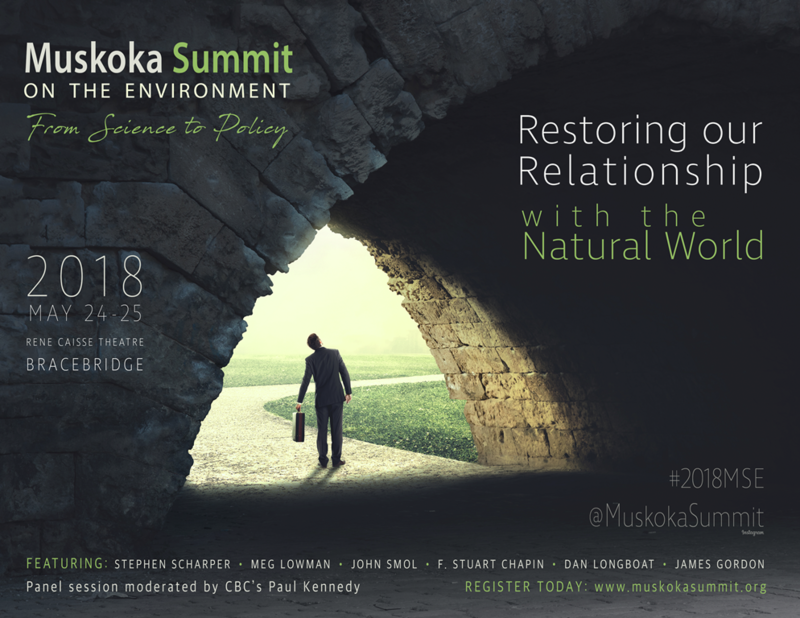 We are excited to announce that the following posters will be presented at the 2016 Muskoka Summit on the Environment. Researchers will have an opportunity to discuss their findings with Summit participants throughout the 2-day event, culminating with a $250 prize being awarded to one project during Saturday lunch. The study examines strategies to reduce the export of plant nutrients, nitrogen and phosphorus, to waterbodies to help resolve the problem of nutrient pollution and eutrophication. Different strategies employed by golf courses to manage nutrient export are examined. Thinning is a forest management strategy used to improve stock quality and reduce the impacts of prolonged competition, the prevalence of insect damage, and disease. The study examined the impact of thinning on the growth of red pine in managed plantations established in Simcoe County. Does Daphnia Anti-predator Response Mediate the Impacts of the Invasive Bythotrephes longimanus? The Spiny Water Flea, Bythotrephes longimanus, is an invasive predator in the Muskoka region. This study examined the hypothesis that the negative impacts on an introduced predator in an aquatic community are due to ineffective anti-predator responses of native prey communities. An institution, such as a school, that is interested in pursuing composting faces obstacles such as when organic waste is generated and corresponding times of appropriate ambient temperature for composing, and student availability to operate the program. This study, underway since January 2016, aims to evaluate the effect of several process parameters on the rate at which compost will mature in small outdoor reactors during winter. The aim of this research, based in Haliburton, is to estimate changes in forest growth and subsequent changes in forest cover in response to climatic changes in the year 2100 in Ontario forests. Estimates on forest change are then used to discuss the future use of forest resources, inform forest management and policy to mirror ongoing changes, and ultimately allow for improved adaptation to changes in climate. It is widely accepted that small island states, including those in the Pacific, are highly vulnerable to the impacts of climate change; thus, there is a need for small island societies to explore opportunities for adaptation. This research employs a community-based analysis that considers vulnerability and adaptation to climate change in the context of biophysical, socioeconomic, and cultural stressors. As air temperatures in Ontario are steadily rising, so too are freshwater lake temperatures. Increases in lake temperature directly impact freshwater fish and can lead to changes in species distributions over time. This study looks at quantifying the relative resilience of lake fish communities in the Muskoka region to a warming environment, and how that might change with the loss of coldwater species. In considering the implications of predicted climatic changes, initiatives in the Muskoka region have been undertaken to explore opportunities to improve the management of the Muskoka Watershed. This includes the implementation of Cumulative Effects Assessment and Monitoring (CEAM). This study proposes a more comprehensive, multidimensional framework incorporating aspects of known approaches, including: Integrated Water Resources Management (IWRM), Adaptive Management (AM), vulnerability analysis, Environmental Assessment (EA), CEAM, and others. This study explores the best practices in community based monitoring protocols in biosphere reserves using two case studies: shoreline photographic inventory project at Desert Lake, within the Frontenac Arch Biosphere Reserve; and an assessment of phosphorous monitoring protocols at various locations within the Georgian Bay Biosphere Reserve.